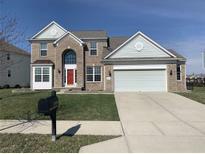 Below you can view all the homes for sale in the Avalon Of Fishers subdivision located in Fishers Indiana. Listings in Avalon Of Fishers are updated daily from data we receive from the Indianapolis multiple listing service. To learn more about any of these homes or to receive custom notifications when a new property is listed for sale in Avalon Of Fishers, give us a call at 317-987-2530. Plus community pool, tennis, playground, basketball, & more. MLS#21632149. CENTURY 21 Scheetz. This amenity-rich neighborhood has it all, including pool, tennis courts, basketball courts, playgrounds & miles of walking trails. MLS#21628291. Coldwell Banker - Kaiser. Community Pools, A+ Schools. High desire neighborhood. MLS#21631307. Mentor Listing Realty Inc. Ideal Location .25 mile from HSE Schools & Close to Restaurants & Shopping. MLS#21630614. 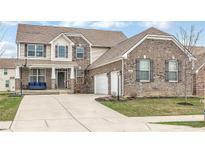 Keller Williams Indpls Metro N.
Plus it's located near HSE Schools, Hamilton Town Center, IKEA & Top Golf. MLS#21627289. F.C. Tucker Company. Oversized 3 car garage. House humidifier installed. MLS#21627145. RE/MAX Legends Group. Full 9' unfinished basement with bath/wet bar RI. Fully fenced backyard. MLS#21627219. Double Realty LLC. Just off the back of the home, you will find a newly finished elevated wood deck with blue spruce landscaping to grant privacy and a serene feel to the backyard. MLS#21622679. Redfin Corporation. Everything on your wish list and more! MLS#21619064. RE/MAX Ability Plus. Tournament Style Pool Table and all accessories to remain with home. MLS#21616771. Carpenter, REALTORS®. Close to Highways for Easy commute. MLS#21615254. Berkshire Hathaway Home. Home Warranty included for your peace of mind. MLS#21604383. Keller Williams Indpls Metro N.
This ranch home is close to HTC. MLS#21600774. Carpenter, REALTORS®. Walking distance from award winning HSE schools. MLS#21592312. F.C. Tucker Company.